As a car connoisseur and lover of all vehicles with some power behind the pedal, it has to be known that Mercedes-Benz is at the top of my list of iconic brands. When I was approached with their Socially Driven campaign, of course, I jumped at the opportunity to partner with the company to share my version of Miami. People consistently ask me about my favorite spots in the city, so I figured it was about that time to share with you all. Discovering new places and pieces of beauty is what I love, so if you had just one day to spend in Miami…these are my not-to-be missed moments. 6AM // CATCH THE SUNRISE BETWEEN 1ST AND WASHINGTON AVENUE. MIAMI HAS BEAUTIFUL SANDY BEACHES, AND SKYLINES TO MATCH. THIS IS ALSO THE QUIETER AREA OF MIAMI BEACH, SO YOU CAN TAKE IT ALL IN. 9AM // GET YOUR WORKOUT ON AT MIAMI BEACH’S MOST ELITE FITNESS CENTER, ANATOMY AT 1220. THIS PLACE HAS EVERYTHING YOU COULD POSSIBLY NEED OR WANT IN A GYM, OR LIFE (NOT TO MENTION, IT’S EVERY CELEBRITY’S GO-TO SPOT TO GET SWEATY WHILE IN THE CITY). 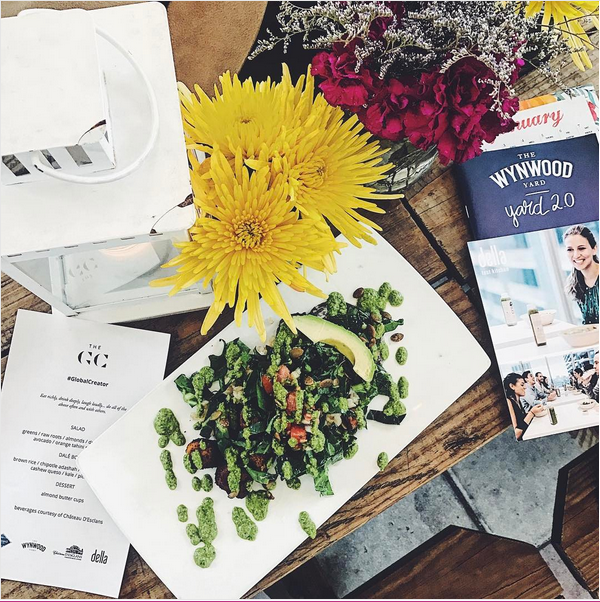 12PM // GRAB A LIGHT LUNCH AT WYNWOOD YARD’S DELLA TEST KITCHEN. WITH SIMPLE INGREDIENTS AND COMPLEX LAYERS OF FLAVOR, THEIR DISHES ARE INCREDIBLE. SAVE ROOM FOR THEIR ALMOND BUTTER CUPS – YOU WILL MOST CERTAINLY WANT ONE TO FINISH OFF YOUR MEAL…OR 15. 3PM // GO FOR AN AFTERNOON STROLL AND CHECK OUT SOUTH POINTE PIER. ITS SIGHTS ARE GORGEOUS, AND THE AREA IS FILLED WITH ACTIVITY FOR EVERYONE. 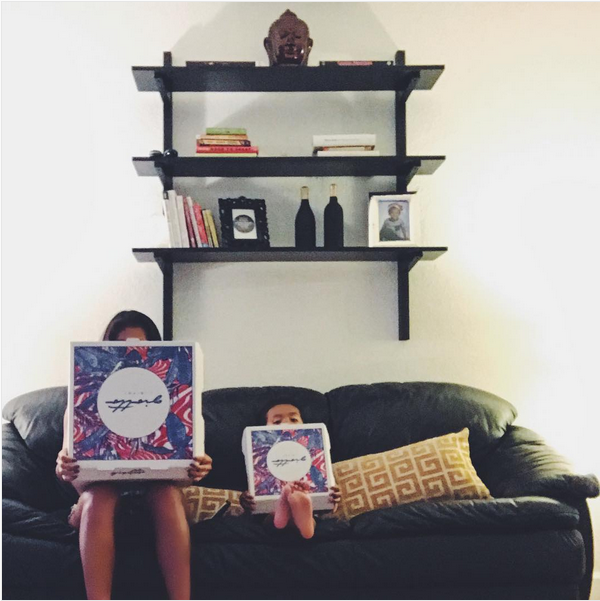 7PM // FINISH OFF THE DAY WITH MIAMI BEACH’S TASTIEST PIZZA, GIOTTO. IT’S A LITTLE HIDDEN SPOT RIGHT OFF WEST AVENUE, AND THE MARGHERITA THIN CRUST PIZZA IS TO DIE FOR! I PROMISE, YOU WILL NEVER EAT ANY OTHER PIZZA AGAIN. If you live in or plan on visiting NYC, LA, Chicago, Austin, Miami, or Denver, Mercedes-Benz is inviting you to share your city in a simple and artistic way on Instagram. It’s easy—you create a quick (but beautiful) animated album of 5 of your best geotagged photos and upload it to Instagram. Then, you share your album on your feed with the hashtag #MBsociallydriven—and your photos might be featured on the Mercedes-Benz website! Ready to rediscover your city? Visit the official website here to enter!